What’s in YOUR wallet? 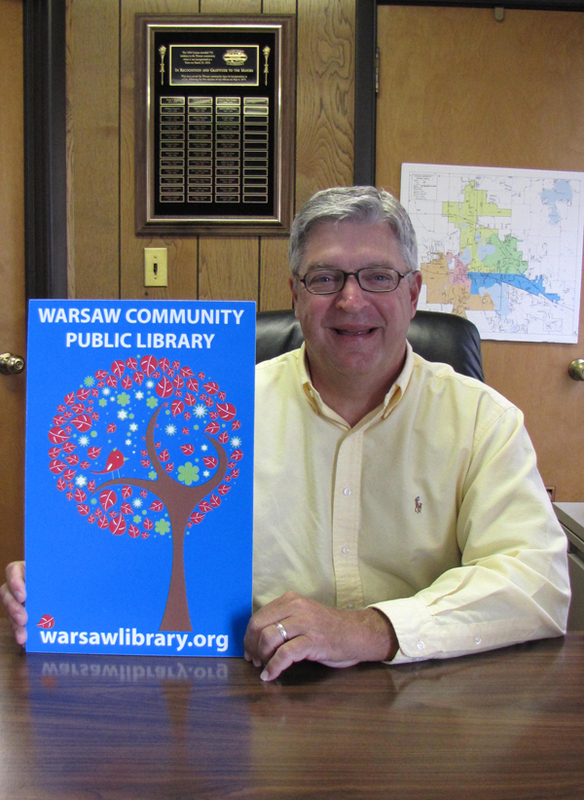 September is Library Card Sign-up Month, and Warsaw Community Public Library wants to make sure you and your family are among the two-thirds of Americans who carry the smartest card of all – a library card. During the past couple of years, many area residents have realized the importance of having a library card as they have dealt with new economic pressures. The library has been a valued “friend” as classes have been attended for writing resumes, preparing for interviews, doing job searches on the Internet, staging and selling a home, and more. Help has been found in the “tons” of books checked out to aid a job search. Patrons have discovered valuable tips and advice and been reminded that they are not alone in dealing with an unexpected job loss. Cardholders have also taken advantage of the numerous DVDs and other resources that can be checked out without charge, freeing up some of their finances. The computer lab has been in great demand as have the computer troubleshooting classes. Cardholders have discovered just how valuable a commodity the library card is. Time after time, those touched by the economic recession have discovered its usefulness and necessity as they’ve tapped into WCPL’s resources. A library card is like a priceless gem in plain sight, which is somehow overlooked or forgotten in the rush of things. A library card opens the door to adventure and a window to the world. It can educate, stimulate, and entertain. Unfortunately, there are still some who don’t possess a library card and we want to change that. During the month of September, we encourage you to come in and sign up for a library card. For adult cardholders, 19 years of age and older, there is an added bonus. A drawing for a Live Well In the Moment basket furnished by Kosciusko County Visitor’s Bureau and its business partners (retail value of almost $400) will be held on Monday, Oct. 1. What a deal! One can get a passport to adventure and learning while at the same time become eligible to enter a drawing for an exciting prize basket! Simply use your Warsaw Library card to check out materials, then fill out the entry form completely (including survey) which can be found at the children’s desk, adult reference desk, both self-checkouts, and the circulation desk. Drop your entry into the provided entry box at the circulation desk. Stop by the Circulation Desk and make sure each person in your family has a library card. Tell friends, relatives and neighbors about Library Card Sign-up Month, too. Discover what others have…the smartest card is a library card. By the way, what’s in YOUR wallet? Rediscover your library. Visit us in person, at www.warsawlibrary.org, on our Facebook page (warsawpubliclibrary) for the latest news and updates, and on Pinterest (warsawlibrary)for recipes, information, crafts and more.